There was an ominous feel to the day as a frontal band of snow approached from the west – dark and overcast with strong Southerly winds. The snow arrived by early afternoon but less persistent than expected. 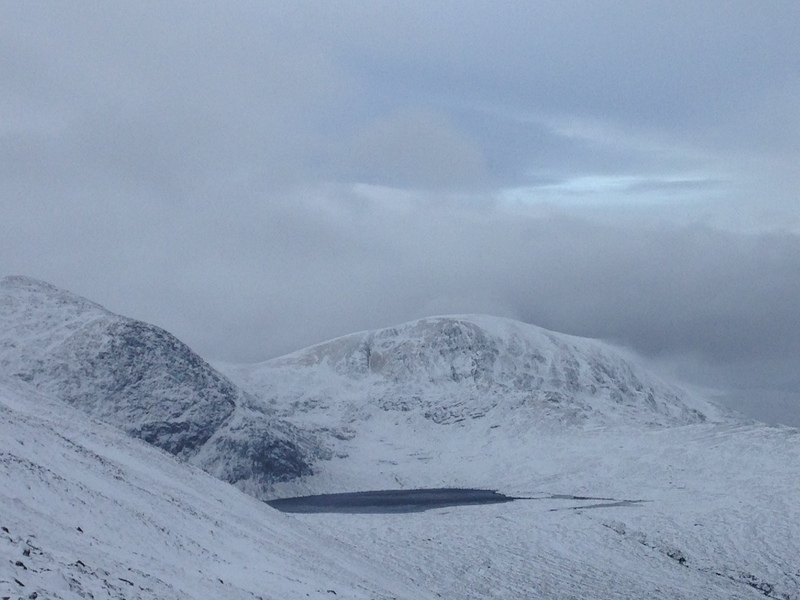 Plenty of re-distribution of lying snow observed as spindrift which settled onto lee slopes as windslab. Windslab will continue to accumulate overnight and through tomorrow. 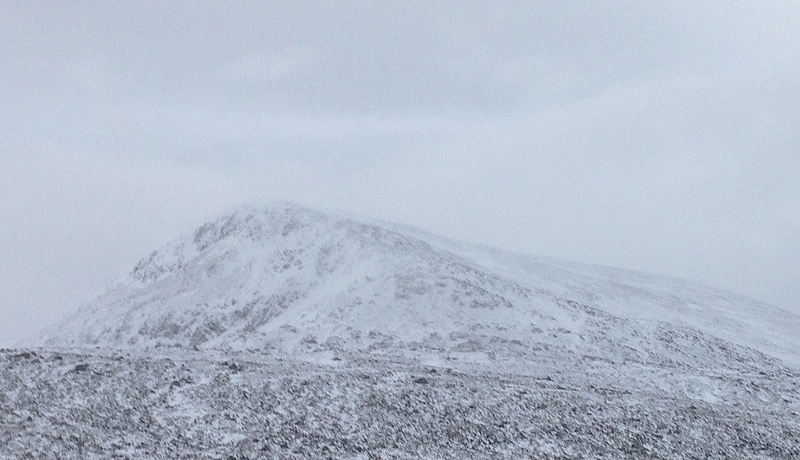 The main Fannaich hills Beinn Liath Mhor Fannaich, Sgurr Mor, Carn na Criche and Meall a’Chrasgaidh left to right. 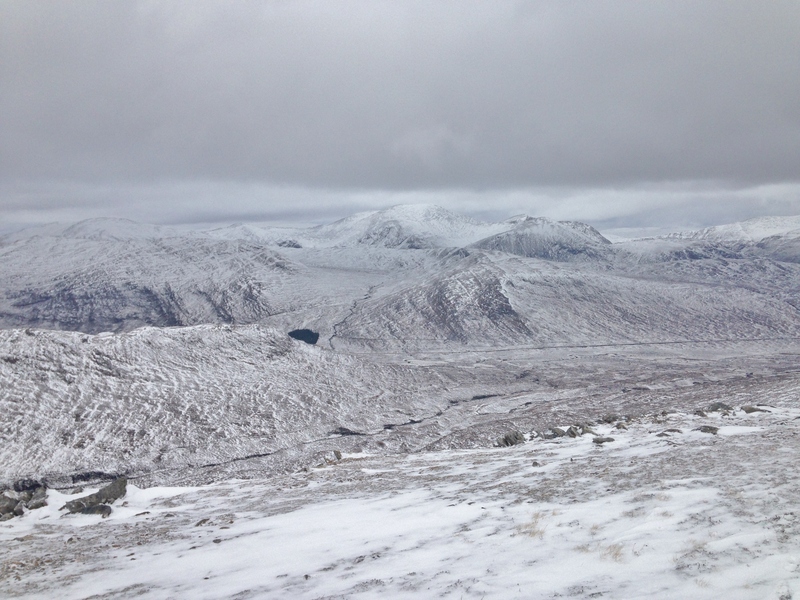 North top of Beinn Liath Mhor Fannaich – the location for today’s observations. The haze of spindrift is noticeable. Spindrift blowing off the summit of Meall a’ Chrasgaidh, most of which is thawing as it settles below the freezing level. 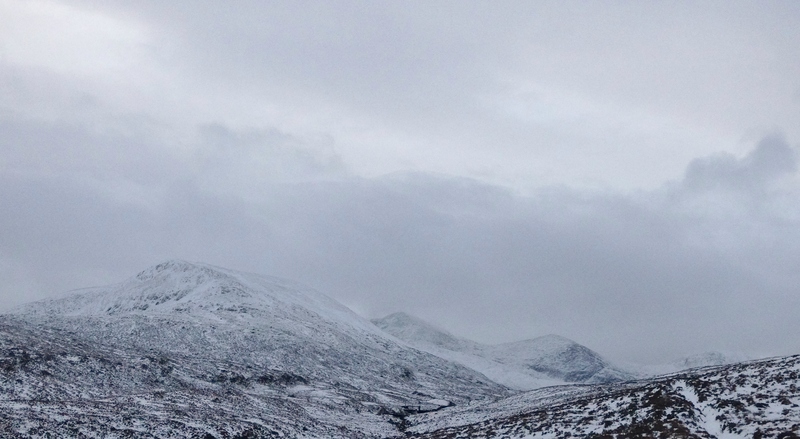 Looking north into the Beinn Dearg hills. It was thawing below 650 metres. 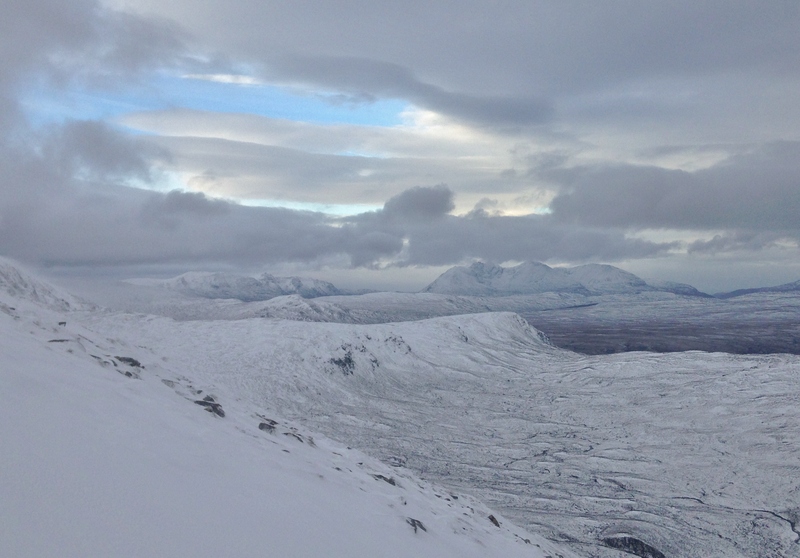 Some brightness appeared briefly above An Teallach revealing some high wave bar clouds – indicative of strong winds.